Sales of the new sedan will begin in South America in January 2018. This is the new 2018 Volkswagen Virtus. 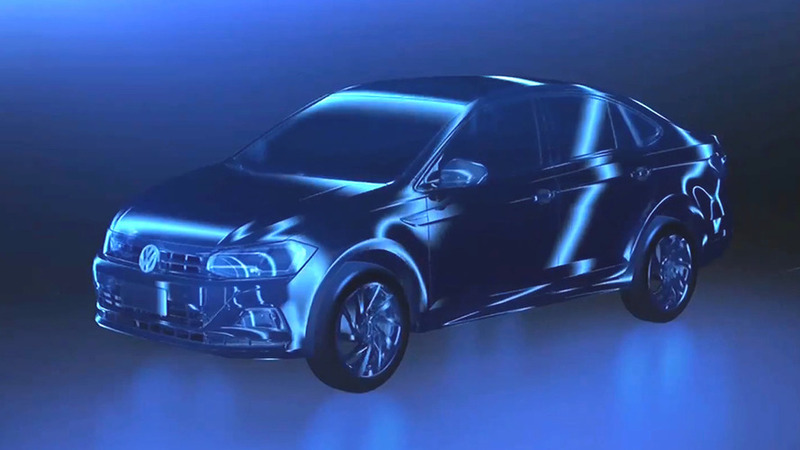 After being partially revealed last week courtesy of a few leaked images, the sedan version of the Polo hatchback has made its world debut in Brazil. 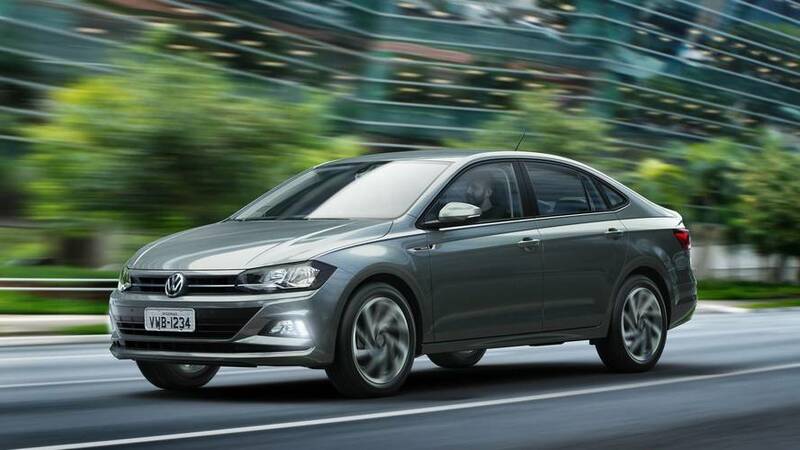 The new VW sedan arrives in January to fight with the more expensive Chevrolet Prisma, the successful Honda City, as well as the upcoming Fiat Cronos and Toyota Yaris Sedan. As expected, the new Virtus features a number of similarities to the hatch, specifically the platform. The Virtus rides on the same MQB-A0 platform, which makes it possible to share almost all the components with the new Polo. Suspension, steering, engines, and gearboxes are the same as expected. 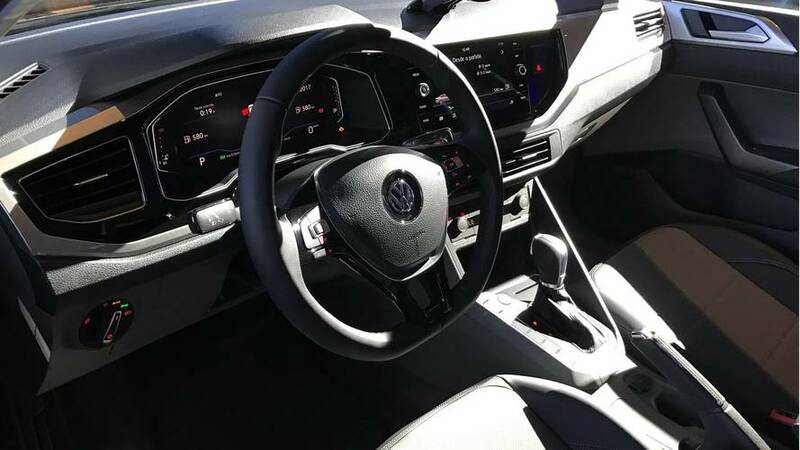 For now, Volkswagen has confirmed only the 200 TSI version, equipped with a 1.0 TSI three-cylinder turbo engine that delivers maximum power of 128 horsepower (95 kilowatts) with ethanol, and 115 hp (85 kW) with gasoline at 5,500 rpm and maximum torque of 147 pound-feet (200 Newton-meters) of torque, with gasoline or ethanol, from 2,000 to 3,500 rpm. With this engine, the Virtus accelerates from 0-62 mph (100 kmh) in 9.9 seconds, and reaches top speed of 120 mph (194 kmh) with ethanol, according to the automaker. Visually, it has the same front fascia as the Polo, including the modification that were made to the hatch for the South American market. 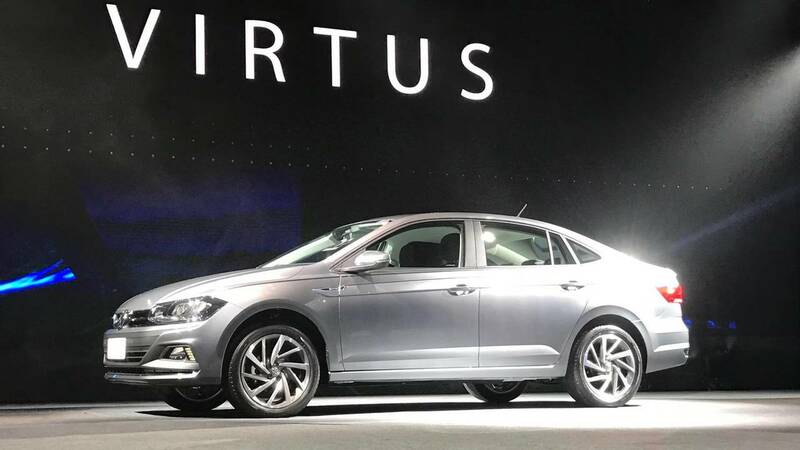 In the rear, the Virtus features the new VW identity, which will even be shown in the future Jetta, which will make its debut at the Detroit Auto Show in January. The taillights are thinner, especially in the portion that invades the trunk lid. 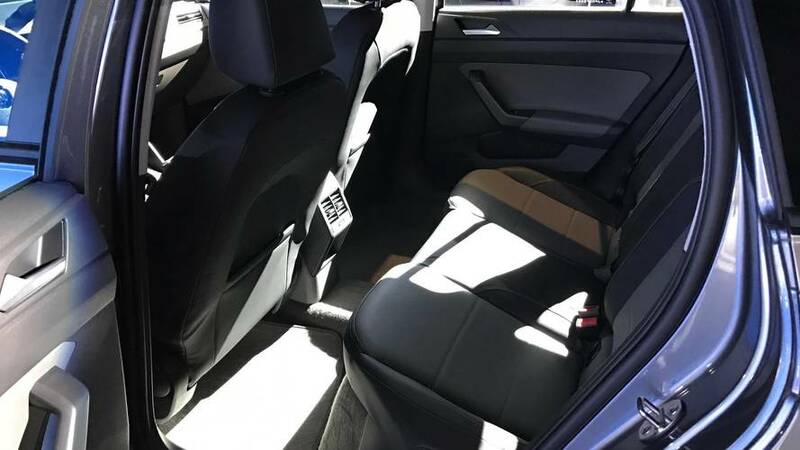 To provide more interior space than the hatch, the Virtus received a wheelbase of 8.69 feet (2.65 meters), which is exactly the same as the current Jetta, and 8.5 centimeters larger than the Polo. It is also larger in length at 14.7 feet (4.48 meters) – much larger than the 13.3-foot (4.05-meter) hatchback. The trunk has a capacity of 18 cubic feet (521 liters), compared to the Polo's 10 cubic feet (300 liters). The Virtus measures in at 57.8 inches (1,468 millimeters) tall, and the width is the same: 68.9 inches (1,751 millimeters). The design of the interior and instrument cluster of the Virtus is virtually the same as the Polo. Also available is the all-digital Active Info Display 10.25-inch dashboard and infotainment systems, with the range-topping eight-inch touchscreen Discover Media system, three USB ports, and Mirrorlink, Apple CarPlay and Android Auto connectivity. In its presentation, VW announced the Virtus as one of the safest models in the segment. It's worth remembering that its Polo brother, also built on the MQB platform, received a maximum five-star safety rating in the Latin NCAP crash tests. For both models, the automaker says that most of the structure of the body is formed by special, high, and ultra high-strength steels with hot shaped parts. In terms of safety, the Virtus equipped with the 200 TSI engine will have the Electronic Stability Control (ESC) as standard, which includes other electronic assistance features such as the HHC (Ramp Start Assist Control), HBA (Hydraulic Brake Assist system) or BAS, XDS + (electronic differential lock), BSW (Bremsscheibewischer - Automatic brake disc cleaning), and RKA + (Tire pressure monitoring). 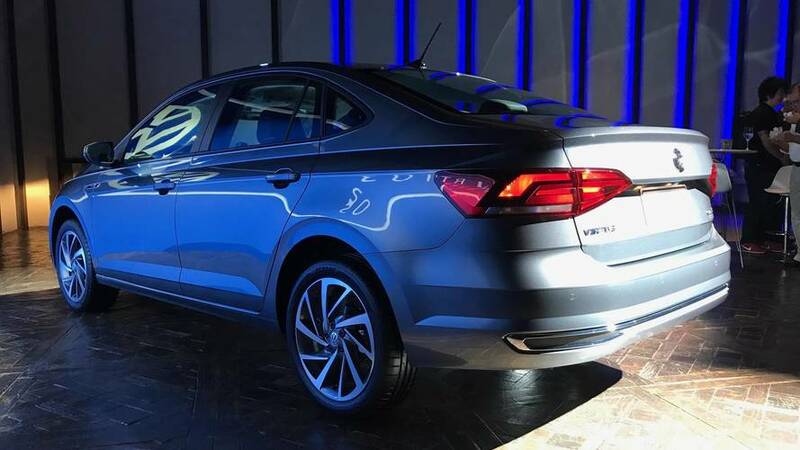 Although it has not confirmed the variants, the Virtus should have a range similar to that of the Polo. 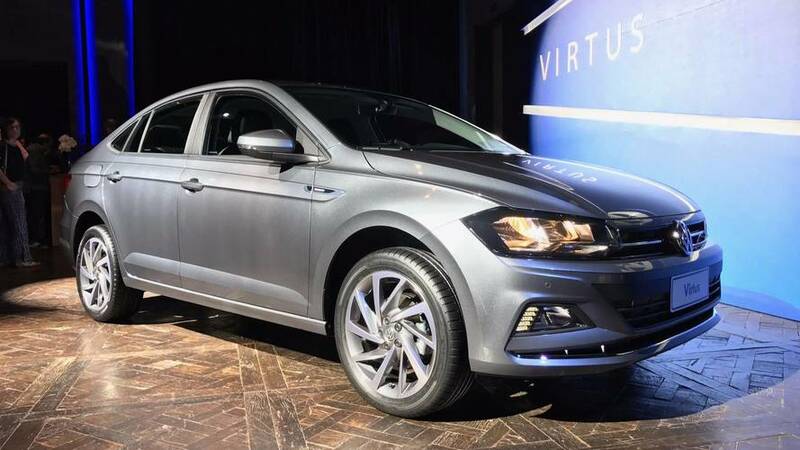 The entry version of the Virtus will be equipped with the 1.6-liter 16V engine equipped with a five-speed manual gearbox, while the mid-range and top-end models will feature the 200 TSI (1.0 Turbo) and Tiptronic six-speed automatic gearbox. The naturally aspirated 1.0-liter engine will not be offered in the sedan.